When the seven Australian colonies federated in 1901 there was a dispute between Sydney and Melbourne over which should be the new nation's capital. The dispute was resolved by allocating land about half way between the two for the purpose of building a grand capital city. Thus Canberra was founded in 1927, but remained only a small town until much later. Australians distaste for self serving politicians in the central government who do not understand local issues leads many Australian's to hold Canberra in disdain. It is a planned city in every respect. There is no hustle and bustle or derelict areas. It is even built around a large artificial lake. Never the less Canberra is home to many impressive modern governmental buildings; and the lake is quite nice too. The most spectacular building is the near new Parliament House built into a hillside with a gigantic flagpole on top. Unlike other Australian cities, Canberra has a distinctly Australian native bushland feel. Fewer European trees have been planted here. The highlight of Canberra, Parliament House opened in 1988 to celebrate 200 years of white settlement of Australia. It is a magnificant modern building built into Capital Hill at the expense of over $1 billion. The giant four legged flagpole on top can quite easily be seen from a distance. The marble and native Australian wood interior is beautiful. One of the four original copies of the Magna Carta is displayed inside. 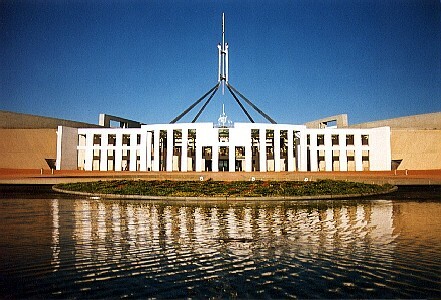 Picture: Australia's Parliament House in Canberra is built into Capital Hill. There are two chambers. The green House of Representatives and the red Senate have free guided tours every half hour. On sitting days visitors can watch the proceedings and antics of the politicians from the gallery in each chamber. Parliament house is open daily 9am to 5pm. Buses 231, 234, 235 and 901 run from the city centre to Parliament House. Halfway between the new parliament and the lake is the old parliament. Government sat here from 1927 to1988. Regular tours are available. Today it houses the National Portrait Gallery and temporary exhibits from the National museum and Australian Archive. Open daily 9am to 4pm. Entry $2, children $1. Phone 6273 4723. This superb gallery is on Parkes Place next to lake Burley Griffin. 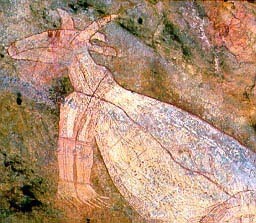 Works displayed include Aboriginal art and some of from the most famous Australian artists, Arthur Boyd and Sidney Nolan. Open daily 10am to 5pm. $3, children and students free. Lots of hands on interactive displays and devices to play with that challenge and amaze the mind. Lots of fun, especially for kids. Located on King Edward Terrace. Open daily 10am to 5pm. Allow at least 2 hours. Entry $8, children $4, students $5. Phone 6270 2800. Included amoung the library's 5 million books are early manuscripts and maps and Captain Cook's logbook from the HMS Endeavour. Captain Cook is popularly regarded as having discovered Australia. This is incorrect, though he was the first Englishman to discover and accurately chart Australia's furtile east coast in 1770 This led to the establishment of a penal colony at Sydney 18 years later after England had lost its American colonies as a place to dump excess prisoners. There is free internet access at a terminal in the library foyer. The library is located on King Edwards Terrace by the lake. Open Monday to Thursday 9 am to 9 pm, Friday and Saturday 9 am to 5 pm, Sunday 1.30 pm to 5 pm. Entry free. Phone 6262 1111. 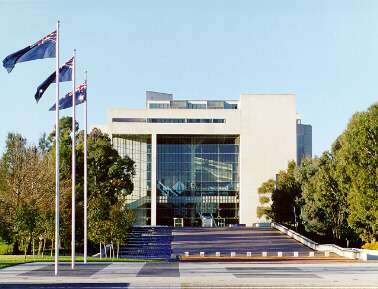 There are many embassies in Canberra and some are built in the style typical of their homeland. The Chinese Embassy is a mammoth construction. The US embassy is model southern mansion. The Indian, Thai and New Guinea are in national style. The New Guinea embassy has a cultural display open weekdays 9.30 am to 12.30 pm and 2 pm to 4 pm. East Timor demonstartors are permanently camped outside the Indonesian embassy. Anti-nuclear demonstrators are camped outside the French embassy. French nuclear testing in the Pacific is controversial. Most of the embassies are in Yarralumba, west of Parliament House. Sunlight shines on his tomb through the top of the dome at exactly 11am the 11th of Novemeber to commemorate the end of World War I and remember the dead. Opened in 1941, it has an incredible miltary history display from Sudan in the late 1800s to the Gulf War. Aircraft, tanks and parts of the two midget Japanese submarines that infiltrated Sydney Harbour in World War II. 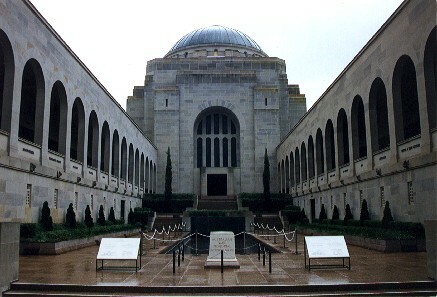 Anzac is the acronym for Australian and New Zealand Army Corp. Open daily 10 am to 5 pm. Entry free. Phone 6243 4286. Getting there: Buses 233, 302, 303, 362, 363, 436 and 901 stop nearby. The lake is surrounded by parkland. At Regatta Point on the north shore, the interesting National Capital Museum traces the development of the city. Open daily 9 am to 6 pm. Entry free. Visitors can view the furnaces and presses used to make coins from behind thick plate glass windows. There is also a collection of rare and old coins. Open weekdays 9 am to 4 pm, weekends 9 am to 3 pm. Entry free. Located in Denison St, Deakin. Get there by bus 230, 231 or 267. Northborne Avenue is Canberra's main street. 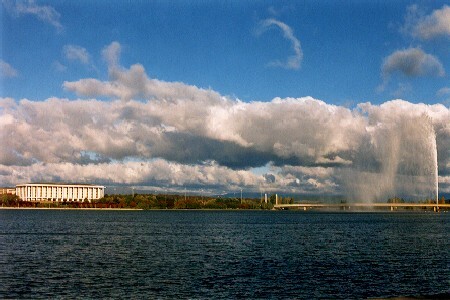 The unexciting city centre (known as the civic centre) is just east of it near Vernon Circle north of the big Lake Burley Griffin. There are a number of shops here in a confusing octagonal pedestrian mall setup. It is easy to get disorientated. City Walk Hotel 2 Mort St (corner City walk) is in the city centre. Phone 62570124. Dorm $16, single $37, double $42. Kitchen, TV lounge. Canberra YHA Hostel 191 Dryandra St, O'Connor, 6km northwest of the city centre. From the Jolimont Centre on Northborne Avenue catch bus 307 or 308 to the corner of Scrivener and Brigalow Sts, head northeast up Scrivener St to Dryandra St and turn right. From the Civic Bus interchange at the corner of Mort St and Alinga St catch bus 304 to the corner of Miller St and Scrivener St, then follow signs. Dorm $16, twin $21 each ($23 with private bathroom). Phone 6248 9155. Travel desk, bike hire. Victor Lodge 29 Dawes St, Kingston, 500 metres from the train station.Phone 62957777. $16 for bed in 4 bed dorm, single $45, double $44. Includes light breakfast. BBQ and bike rental. Get there from the city by bus 352 to nearby Kingston shops and walk. There are few eating options in Canberra. Try Civic Centre or the affluent suburb of Manuka. There are a few nightclubs and pubs around the civic centre. When going home remember Canberra's public transport system does not run late and Canberra has an extreme shortage of taxis at late at night. Pandora's nightclub. Corner Mort and Alinga Sts. Private Bin nightclub, 50 Northbourne Ave.
Asylum has live music. 23 East Row. Wig & Pen English pub. Corner West Row andd Alinga St.
Canberra Casino 21 Binara St. Open 12 noon to 6 am. Canberra has a metropolitan bus network. Phone 62077611. The main interchange is on Alinga St between Northborne Ave and Mort St. Fares are $2, express $4, daily ticket $6, weekly ticket $24. A book of 10 single tickets costs $14. The hop on hop off Murray's Canberra Explorer bus route runs past 19 Canberra attractions. It leaves hourly from the Jolimont centre from 10.15am to 4.15pm. $18, children $8. Countrylink trains run north to Sydney twice a day. $40. The train station is on Wentworth Ave, Kingston. Phone 6239 7039. Buses leave from the Jolimont Centre on Northborne Avenue by the city centre. McCafferty's runs coaches to Melbourne ($44). Canberra airport is 7 km southeast of the city centre. Taxi from the city is around $10. ACT Minbuses are $8 and pick up from the Jolimont centre, various hotels and the YHA. Phone 6291 4592 to book. Go skiing in the Snowy Mountains near Cooma to the southeast of Canberra. Continue through Cooma to meet the scenic NSW south coast at Batemans Bay. Then follow the Princes Highway either south through Narooma, Merimbula and Eden to Victoria and Melbourne or north to Sydney. Travel noertheast to Sydney directly. It is possible to detiur from Albury to ski in the Victorian Alps. Along the Murray River through the river towns of Albury, Echuca, Swan Hill and Mildura. A more more direct route goes through Mildura only.